Riding off of the previous success of last year’s best picture winner, Birdman, Alejandro G. Iñárritu looks to replicate the success of his unique style of directing and combine it with Leonardo DiCaprio’s high caliber acting in his newest film, The Revenant. Now, while I was more excited about other films being released this year, I banked on The Revenant on being the best film and without a doubt winning best picture, yet after seeing the film twice this last weekend I must say that overall the film is average at best. 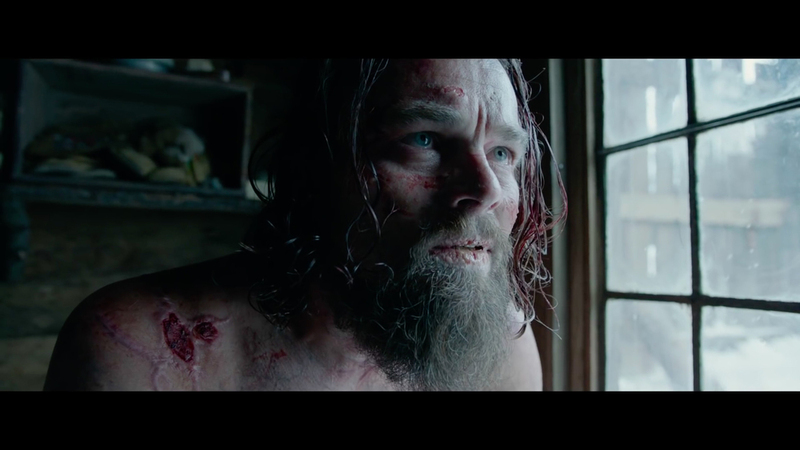 Now do not get me wrong, DiCaprio’s acting and Iñárritu’s direction definitely helped to create fantastic scenes. However, the underdeveloped story and trite themes that it explored made it difficult to not only care about the characters but the whole story itself. Normally if a film gets this level of response from me I would not even warrant a whole article, as usually in these types of situations there is not much to really discuss, yet the polarization of how good the acting and cinematography is compared to the writing is so large there is actually much discussion to be had. While overall I was not impressed with the film, I must admit that the cinematography is absolutely perfect. The film’s cinematographer, Emmanuel Lubezki is unarguably the best Cinematographer in film right now. His revolutionary style of being able to blend together shots to appear as one take has allowed him to win the last two Academy Awards for Cinematography for his work on Alfonso Cuarón’s Gravity and Iñárritu’s Birdman. The way in which he and Iñárritu approached Birdman is the sole reason it was able to win best picture last year. Personally, I am a big fan of Lubezki’s style as it creates a level of immersion that does not allow the tenseness or action in a film to die. However, after watching The Revenant, my admiration for Lubezki skyrocketed as his revolutionary movement of the camera was highlighted by his use of lighting. Going into the film one would expect the way in which Lubezski orchestrated the action sequences to be the focus of his contributions but the way in which he was able to compose breathtaking landscapes to make every scene picturesque speaks volumes in terms of his ability to better a film. With that being said, his use of camera movement throughout the film should not be overlooked. There are two scenes in particular that could not be filmed by any other person and have the same effect on the audience. 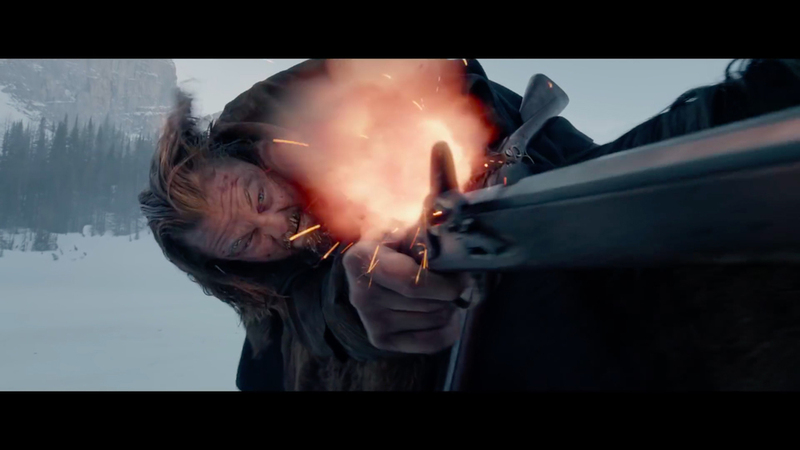 The scenes in particular are the opening battle scene and the scene where DiCaprio’s character is mauled by a bear. Somehow Lubezki is always able to make sure the audience has the best view throughout the scene without cutting to different angles reminding the audience they are watching a film. As a result the level of immersion from the audience remains constantly high and only builds as the scene develops. Now while it is quite clear Lubezki is responsible for a lot of the scenes visuals, they can only go so far on their own. Luckily DiCaprio’s performance makes them even more engaging. Interestingly enough while DiCaprio’s performance is one of his best, it is also probably one of the films where he delivers the least amount of (audible) lines. In fact, I think it’s the lack of lines that DiCaprio has that actually makes his performance in the film so great. Throughout the entirety of the 156-minute film, Dicaprio is on screen for about 90% of the film and does not speak for ninety minutes. Although during this period the audience is able to understand what his character is thinking and feeling throughout every second as a result of the plethora of physical expressions DiCaprio is able to draw from. After his character’s son dies in the beginning of the film, DiCaprio is able to maintain the pain his character has solely through his eyes alone. Unfortunately, while both Lubezki and DiCaprio’s contributions chart new ground for their respective fields, the rest of the film is not that great as the only true good parts of the film are a result of their contributions. The reason in which the film suffers is largely because of its actual story. While DiCaprio was able to portray his character perfectly, the character was not very well written. The writers of the film did not attempt to build the character up as anything other than someone who just cares for their family. While this is something that audiences can easily relate to, it is also a character that we have seen now throughout all of film history and as a result ultimately does not leave a lasting impression on the audience as it is not unique. However this issue could be overlooked if the story itself is compelling enough since DiCaprio’s performances is strong enough to be impactful. Although, the writers are unable to even complete this task. When you strip away the setting of the film, all you are really left with is a generic action-revenge film. The main character just travels from obstacle to obstacle until he ultimately gets his revenge. While the film did attempt to have a bit more depth and explore the theme of the Native Americans being labeled as savages but actually being the only group morally grounded, this theme has already been played out in previous works and is not all that ground breaking. Therefore, as a result, every aspect of the screenplay is very trite and outright bland which really hinders the film. While The Revenant is not the masterpiece that I thought it would be, the work that both Lubezki and DiCaprio is absolutely top notch and deserves to be seen. It really is quite a shame that more effort was not put into developing an intriguing story, as Lubezki and Dicaprio’s contributions were so legendary. The question as to how good the film could have been will always remain unanswered but as of right now, Celluloid Cinema gives the film 3 out of 5 Reels, but do not be surprised if The Revenant does well at the Academy Awards and wins best picture. Thank you for visiting Celluloid Cinema, please leave your rating of The Revenant in the poll below.